The iTel S33 comes with a 6.0 inch display and boasts of a 1.3 GHz Quad core processor with Android 8.1, Oreo (GO Edition). It also comes with a 1 GB of RAM, an internal memory of 16 GB. It has a back/ rear camera of 8 MP + 8 MP and an 13 MP front camera with a 3000 mah Li-Po battery capacity to push all this. Below are Online stores you can buy iTel S33. The Online stores Jumia, Gearbest and Konga. $80 – $120 Check the Price in your country below by Clicking on Checkout Lowest Price to get the best deal and buy online. The iTel S33 comes with dual SIM slots and supports the 2G, 3G but does not support 4G LTE Band for its connectivity. It has inbuilt with it Wi-Fi capability and the ability to create Wireless Hotspots. The iTel S33 comes with a display of 6.0 inches. It uses the IPS LCD display technology. It has a resolution of 960 by 480 pixel. The display is quite good quality for phones within this price range. The iTel S33 boast of a Quad (Four) Core processor clock at 1.3 GHz, the chipset is the MediaTek MT6580. The GPU is the Mali 400 MP2. The iTel S33 also comes with a 1 GB of RAM, an Internal Memory (ROM) of 16 GB. The storage space can be expanded via the micro-SD slot (Maximum allowable Storage for Micro-SD is 32 GB and it uses a dedicated slot). The iTel S33 comes with Android 8.1, Oreo (GO Edition) out the box. The iTel S33 makes use a 8 MP + 8 MP back or rear camera with LED flash and a 13 MP front camera with LED flash light. The iTel S33 has a battery with the capacity of 3000 mAh. The Battery uses the Li-Po technology and it is non removable. This battery could last for a day on an average heavy usage. I just bought this phone and it’s working nice. I have a problem with my itel S33 . it says battery temperature very low and eventually switches itself off. what is the remedy please. I need help. my phone is just few months old. may I get helped please. 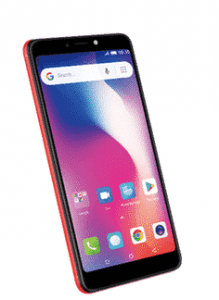 Does Itel S33 have a receiver? I am using itel s33 but the problem is that sometimes it fails to display messages and I first need to reboot it, will it cause a problem? I’m in Namibia, where can I buy it? Disable auto rotate on your phone. my own itel s33 I bought is a removable battery and it doesn’t have any light sensor could it be that it is not the original itel s33? Some apps does work on itels33 and am also having issues with notification. Should I go and upgrade the phone software. How Can I Verified If The Phone Is Original? Please try submitting various sample of fingerprint in different condition to make the sensor more efficient. When I record something on my itel s33…and stop recording..mimmediately I stop recording the camera goes out …am I not supposed to click on the circle by the left to see what I’ve recorded? Please sorry, it is an error and it will be corrected. The actual battery size is 3000 mAh. Thanks for the correction. I am in Zimbabwe where can i buy it? Well Itel S33 Is A Good Phone But D Problem There Is Dat D Ram Is Not Up To 2gib.And Dats Not Good.